A great front facing image of a Land Rover. Can be in any colour required. 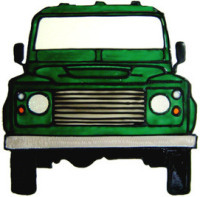 A fantastic gift for the enthusiast or anyone who just loves vehicles.